This comes housed in a stainless steel case that holds a beautiful stone-studded bezel. 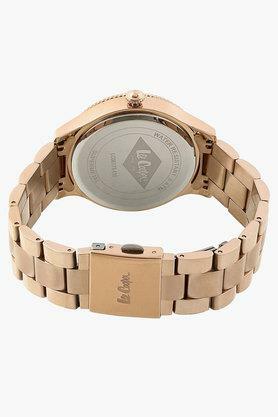 It shows the time with baton indices placed at five-minute intervals. 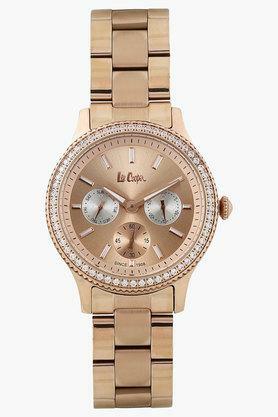 The dial comes with three subdials at the 3rd, 6th, and 9th hourmarker positions denoting the date, seconds, and day respectively. 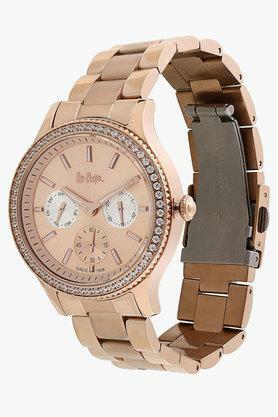 The watch is powered by quartz movement and is finished with a stainless steel bracelet-style strap in the tone of rose gold. 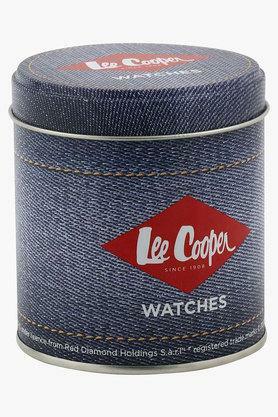 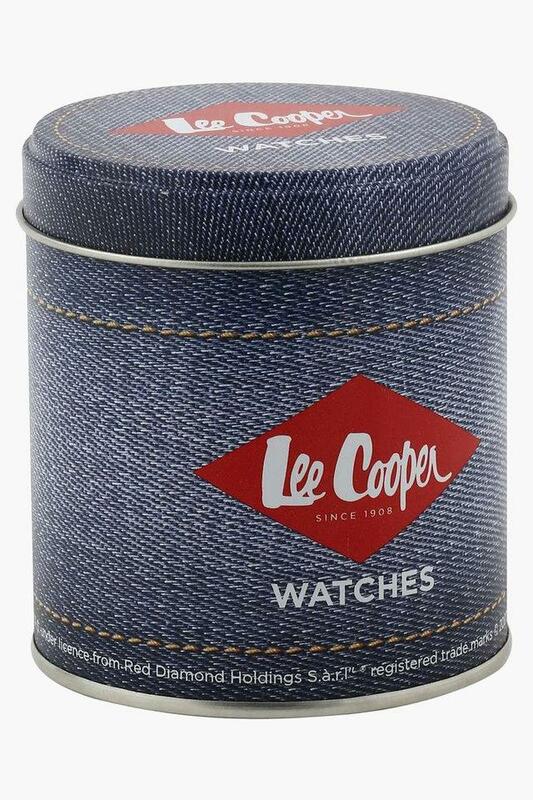 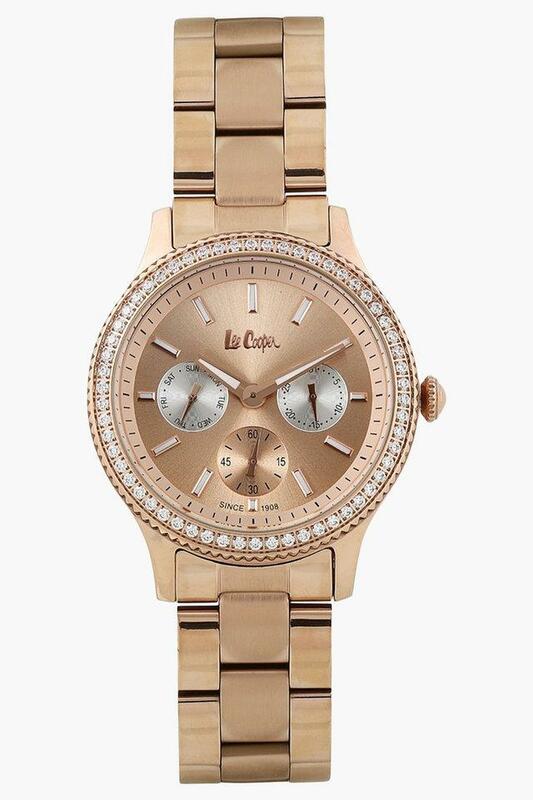 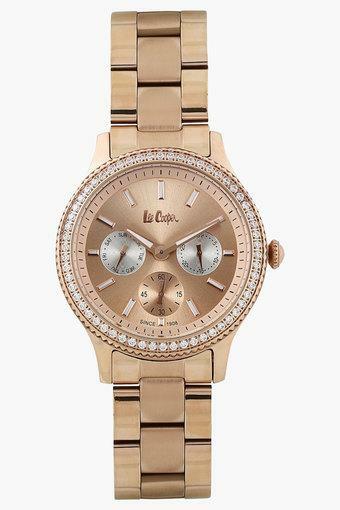 This elegant women's watch by Lee Cooper features a round dial in the tone of rose gold.